Accessing HTTPS Sites on the Wireless Network. Internet Filtering is required by law in a high school environment, and all devices, both school owned or personal must be filtered when connected to the ERA network. Students who are having problems accessing sites such as Google.com, and other HTTPS: secured sites will need to add an SSL certificate into the Chrome Browser to access HTTPS sites while using their personal device on the ERA Network. If students do not want to download the certificate, students may use their personal data plan to access the internet. This certificate only effects the Chrome browser on your device, not the device directly. If students do not want to install the certificate, you do not have to, however, your browsing will be restricted to only those sites that use an HTTP URL. You will not be able to use most major search engines as they currently use HTTPS. Please download the Securly_SHA-256.crt (2) file onto a flash drive or a flash card and have the drive or card plugged into the Chromebook. The file is located at the bottom of this page. Please check to see if there is an old certificate in the Authorities tab. If there is, please click on the old certificate and select :"Delete" to remove the old certificate. To install the the Securly SSL certificate in Chrome, open a Chrome browser window on your device. Type chrome://settings into the omnibar/URL address bar and press enter. 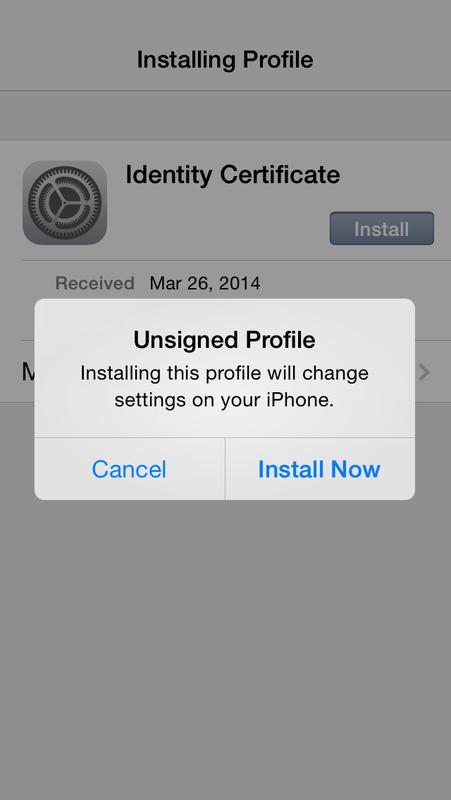 Your device will ask you to name the certificate. Please name the certificate Securly and press the OK button. Please download the Securly_SHA-256.crt (2) file onto your desktop, a flash drive or other external device and have the drive or card plugged into the device. The file is located at the bottom of this page. Or, download the Securly SHA-256.ct (2) file onto your desktop. The file is located on the bottom of this page. 1. Once the certificate is on your desktop, right click on the certificate and select "Install Certificate"
2. If you receive a security warning click "Open"
4. Select the "Place all Certificates in the following store" option, then click the "Browse" button. 5. 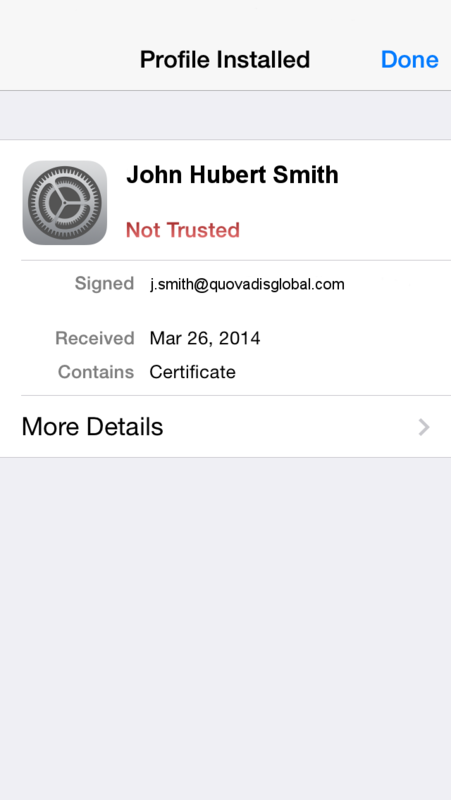 Select the Trusted Root Certificate Authorities Folder" by clicking on it, then click OK.
6. Click the "Next" button. 7. Click the "Finish" button. 8. When the "Import was successful" dialog opens click OK. Please load the Securly_SHA-256.crt (2) file onto your desktop, a flash drive or another external device and have the drive or card plugged into the device. The file is located at the bottom of this page. Verify the SSL certificates: Issued To "*.securly.com" is installed. Double click on the certificate, you will see "Trust"
Please verify it says "Always Trust" for all items. Note: It is important to mention that accessing and downloading this certificate from any other browser other than Safari will result in an error. Only Safari when downloading and installing the cert will create installation prompts for the certificate. At the Install Profile screen press the Install button. 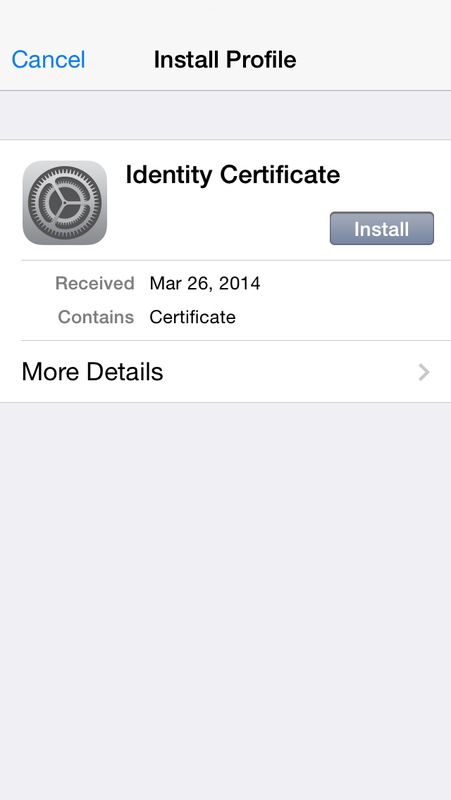 The certificate will continue to install. Once it has finished you will be presented with the following screen. You can exit this screen by pressing the Done button in the top right hand corner. "Settings > Wi-Fi > Choose the (i) next to Network Name > HTTP PROXY > AUTO > URL"